This inquiry into matters of heart, conducted under the shadows of pending surgery, awakens themes of boyhood, education, and marriage and prompt questions about loyalty to a deceased father, connections with immigrant grandparents, loss and rediscovery of faith, and solitude versus community. A medical narrative, the book also chronicles a span of contemporary American life. 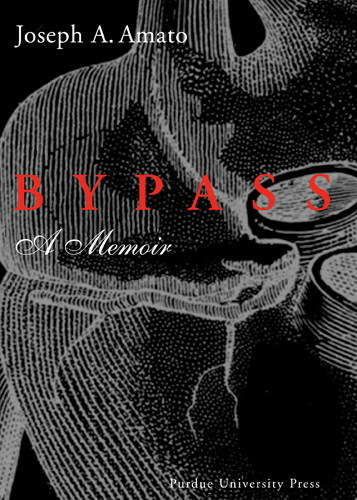 Throughout Amato's account, the consistent reminder of his upcoming bypass invites readers to reflect on their own lives and selves. This is an intelligent and witty guide to an immensely common operation that nevertheless for each patient constitutes a unique experience-a veritable rite of passage. Born in Detroit, Michigan, in 1938, Amato belonged to the working classes and found his first work as a caddy at the Country Club of Detroit, Grosse Pointe Farms, Michigan. 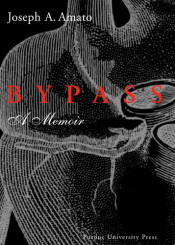 His family and youth are described in his recent memoir, Bypass, Purdue University Press. Amato received his B.A. in History from the University of Michigan in 1960; his M.A. in History from the Université de Laval, Québec, in 1963, and Ph.D. in history from the University of Rochester in 1970. His dissertation was on the sources and plight of contemporary French Catholic thought in the first half of the twentieth century. He also studied the history of culture with Eugen Weber at U.C.L.A. in 1975-1976 under a year-long NEH grant.. He received a certificate in Russian from the University of Indiana and completed graduate work in historiography and Renaissance history at Wayne State University.